Maybe it was when the pirates stood behind Capt. Richard Phillips and all he could hear was the click, click, click of a gun not discharging. Or maybe when there was a bang, and he felt blood coming down his face. 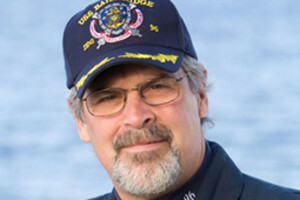 Somehow, Phillips, held hostage on a lifeboat with four Somali pirates who had previously boarded his 17,000-ton Merchant Marine vessel off the coast of Africa, found the strength and faith to remain calm. “The way I solved that was one of the most crucial parts of being a leader, and that’s staying calm,” Phillips told a group of more than 400 human-resource professionals at a daylong symposium Wednesday organized by the Philadelphia Society for Human Resource Management. On April 8, 2009, four pirates between the ages of 17 and 19 attacked and boarded Phillips’ ship, the MV Maersk Alabama, a 17,000-ton cargo vessel, as it was heading toward Kenya off the coast of Somalia. The crew, the vessel, and the cargo were safe, but Phillips wound up an unwilling hostage, bound and beaten when he tried to escape. It’s been nearly seven years since the attack, and Phillips’ dramatic rescue four days later by the U.S. Navy SEALs. In that time, Phillips has written a book and Tom Hanks has portrayed him the movie Captain Phillips, released in 2013. Phillips also has crafted a leadership message he now presents to business groups in between his stints at sea. “You are much stronger than you even know,” Phillips told the human-resource managers at the Sheraton Philadelphia Downtown. “You can do more and take more. The strength is already within us. The team aspect was particularly in evidence on the Maersk Alabama, he said. Three days earlier, as the crew grumbled, Phillips had insisted on anti-pirate training. The crew established a safe room where most would gather. They agreed to shut down the ship – no air-conditioning, no power. And, most important, they memorized code words that would let them know when their captain was under duress and his orders should be ignored. The training paid off, and nearly everything went according to plan. The pirates’ boat sank along with their ladder, and the crew captured one of four pirates. Phillips, with the pirates’ guns pointing at him, worked a deal. He would lower the lifeboat, get it running. They would take their captured comrade and leave. The trade went awry, and Phillips wound up on the lifeboat with the pirates. “I knew there was a chance they wouldn’t let me go,” he said, but it was the only way to get the pirates off the ship. Later, the crew sued, saying the company and Phillips put them in harm’s way by piloting the vessel too close to known pirate territory. The lawsuits were resolved, he said. “None of their facts were accurate,” he added. In the days after the rescue, he found himself crying like a baby every morning. At the urging of the Navy SEALs who rescued him, he talked to a psychiatrist, who advised him to get the tears out. Get crews even more involved, and if there is a situation, seek psychological help from a professional. “It’s all right to cry,” he said. For the audience, Phillips’ words resonated. “I think about his significant strength in leadership and resilience at the most critical stage of his team’s experience,” said Charity Hughes, president of the group’s Philadelphia chapter and vice president for human resources at SCA North America. “More and more, we’re hearing workplace violence and disasters,” she said, noting Tuesday’s terrorist attacks in Brussels. “We know these things happen. We have to be prepared to support our employees, our organization, and the public,” she said. 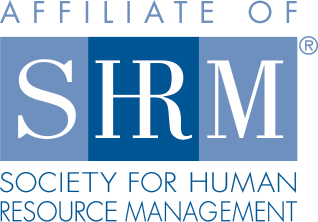 © 2016 Philadelphia SHRM. All Rights Reserved. Web Design by Push10.